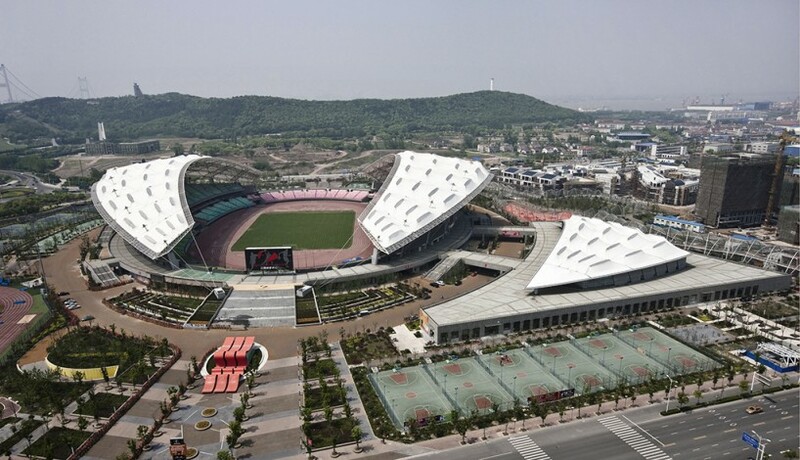 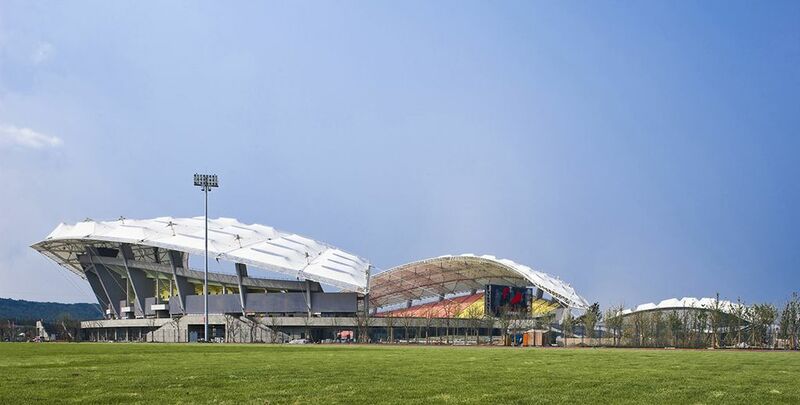 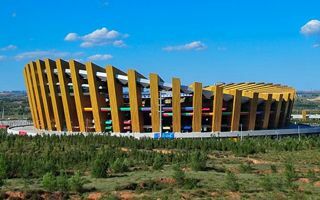 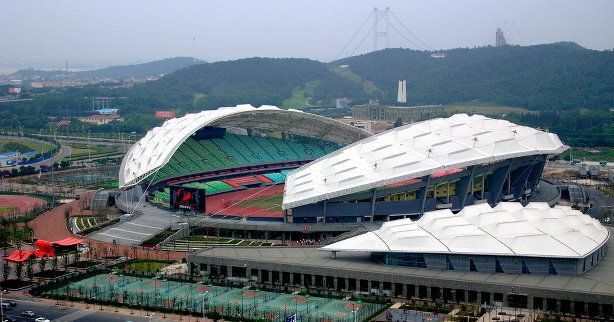 Nicknamed the “little bird’s nest”, this multi-use stadium in Jiangyin was built in late 2009. 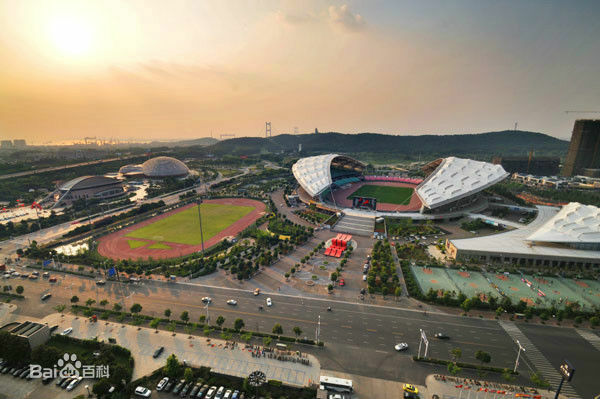 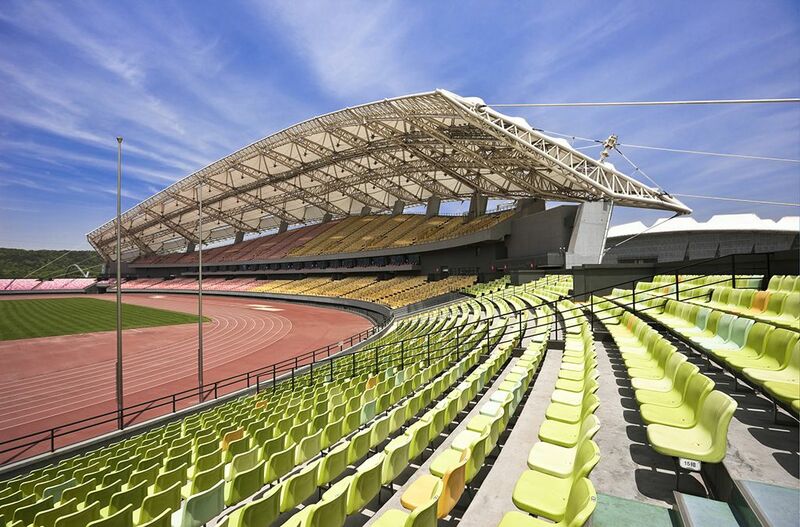 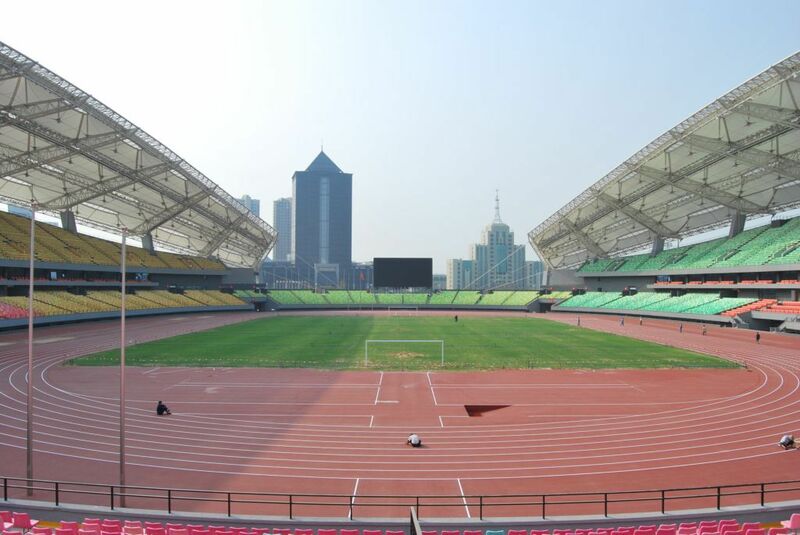 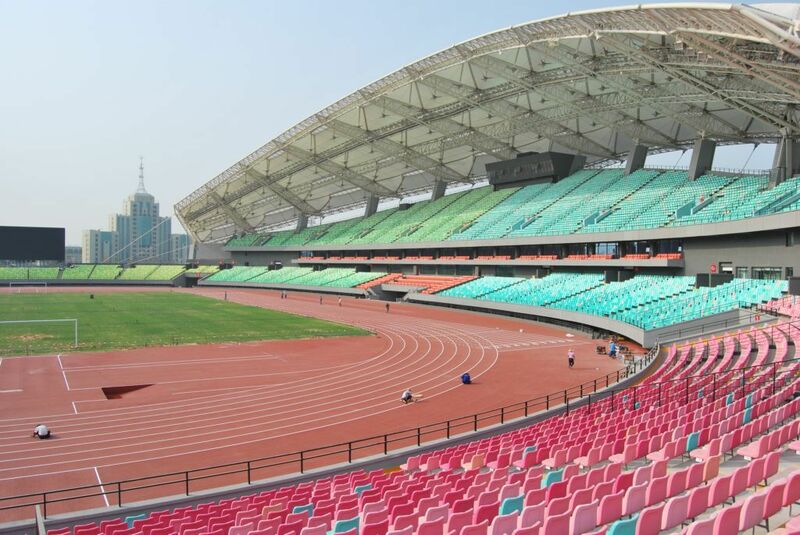 It covers nearly half of the city’s central sports complex (41,200 of 84,000 square meters). 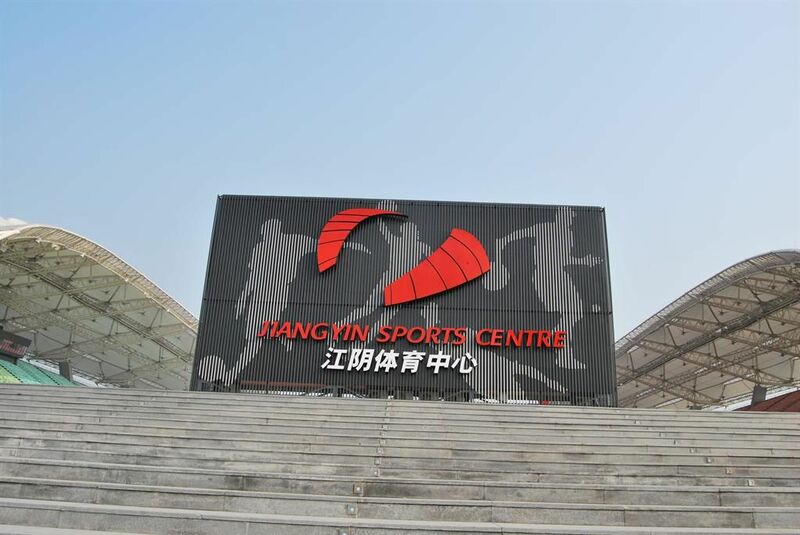 Large indoor hall, extensive training facilities and underground parking sites are also part of the project. 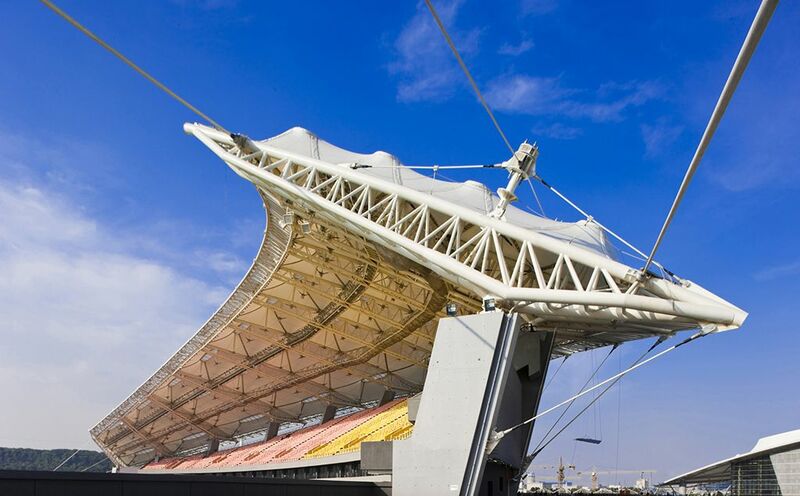 Simple and traditional stands are topped by light membrane roof, peaking at 47.8m. 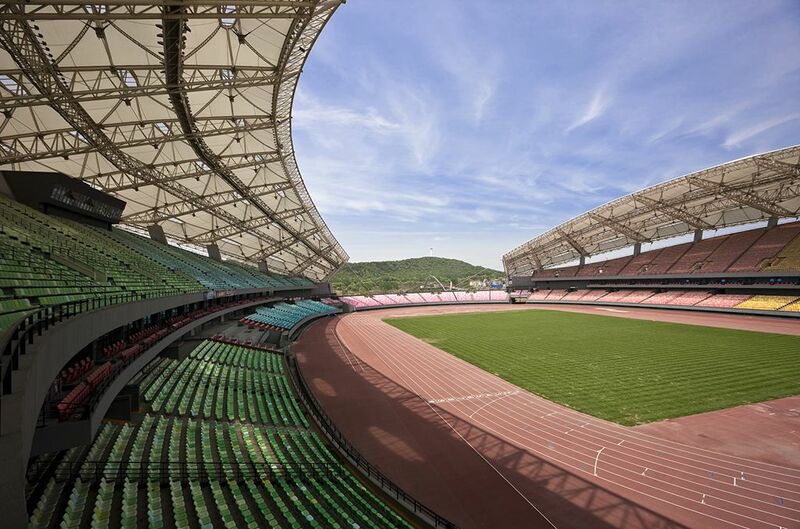 Whitish by day, the membrane comes to life in the evening thanks to large number of LED lights installed directly under the roof. 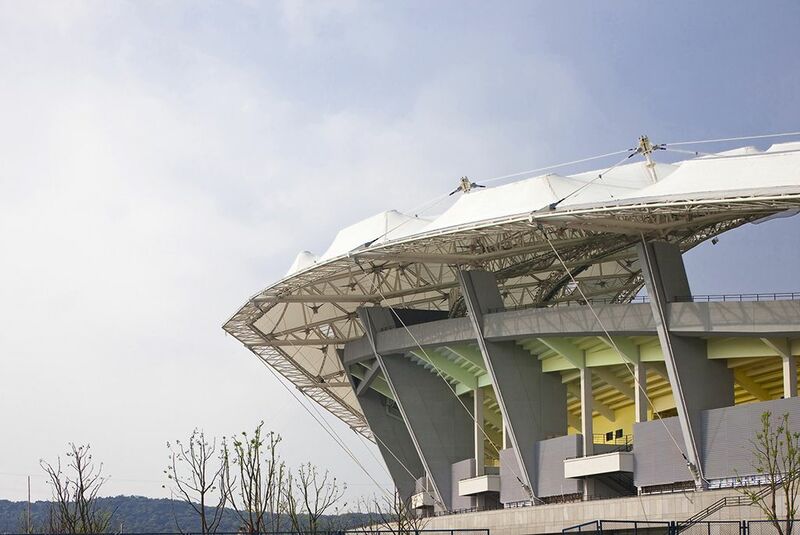 Separate illumination of the concrete stands adds to the versatility of this stadium’s nighttime displays.